Dr. Dre. Snoop Dogg. Ice Cube. Some of the biggest stars in hip hop made their careers in Los Angeles. And today there is a new generation of young, mostly black, men busting out rhymes and hoping to one day find themselves “blowin’ up”—getting signed to a record label and becoming famous. Many of these aspiring rappers get their start in Leimart Park, home to the legendary hip hop open-mic workshop Project Blowed. 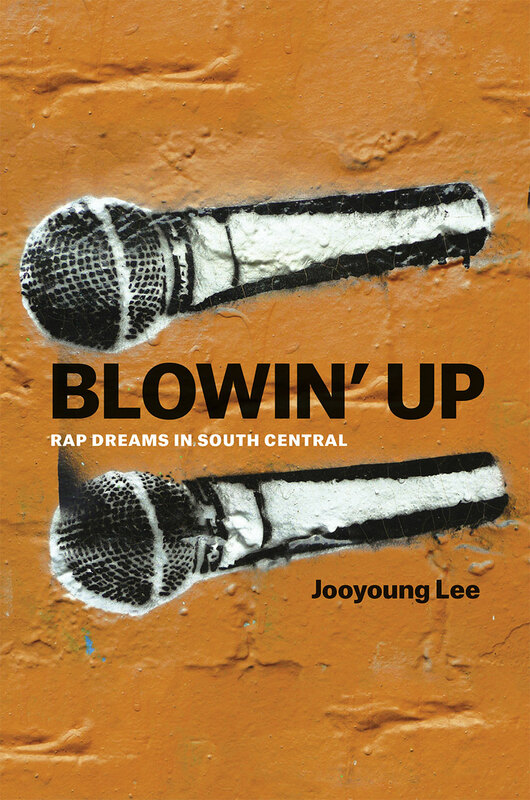 In Blowin’ Up, Jooyoung Lee takes us deep inside Project Blowed and the surrounding music industry, offering an unparalleled look at hip hop in the making. While most books on rap are written from the perspective of listeners and the market, Blowin’ Up looks specifically at the creative side of rappers. As Lee shows, learning how to rap involves a great deal of discipline, and it takes practice to acquire the necessary skills to put on a good show. Along with Lee—who is himself a pop-locker—we watch as the rappers at Project Blowed learn the basics, from how to hold a microphone to how to control their breath amid all those words. And we meet rappers like E. Crimsin, Nocando, VerBS, and Flawliss as they freestyle and battle with each other. For the men at Project Blowed, hip hop offers a creative alternative to the gang lifestyle, substituting verbal competition for physical violence, and provides an outlet for setting goals and working toward them. Engagingly descriptive and chock-full of entertaining personalities and real-life vignettes, Blowin’ Up not only delivers a behind-the-scenes view of the underground world of hip hop, but also makes a strong case for supporting the creative aspirations of young, urban, black men, who are often growing up in the shadow of gang violence and dead-end jobs.